Jio 4G network currently supports only VoLTE for voice calling. As a part of Jio-LYF preview offer, Jio allows unlimited voice calling to any network in the country. Jio is the first operator in India to use VoLTE, in fact Jio 4G network would be the largest VoLTE enabled 4G networks in the world. This is at a time when global 4G players haven’t completely switched to VoLTE, Jio took a bold step to go with VoLTE for voice calling. VoLTE calling experience on Jio was seamless most of the time. The call connection speed is almost instant. Before you lift your finger after dialing Jio care number, call gets connected. HD Voice is activated when calling Jio numbers and voice quality is far better than any other mobile network. To experience the full extent of HD voice I had to use phone speakers instead of the earpiece. VoLTE calling can be compared to the calling experience on Skype or Hangout, but without the delay. It works even with one bar signal, but anything lower than that could interrupt the conversation. 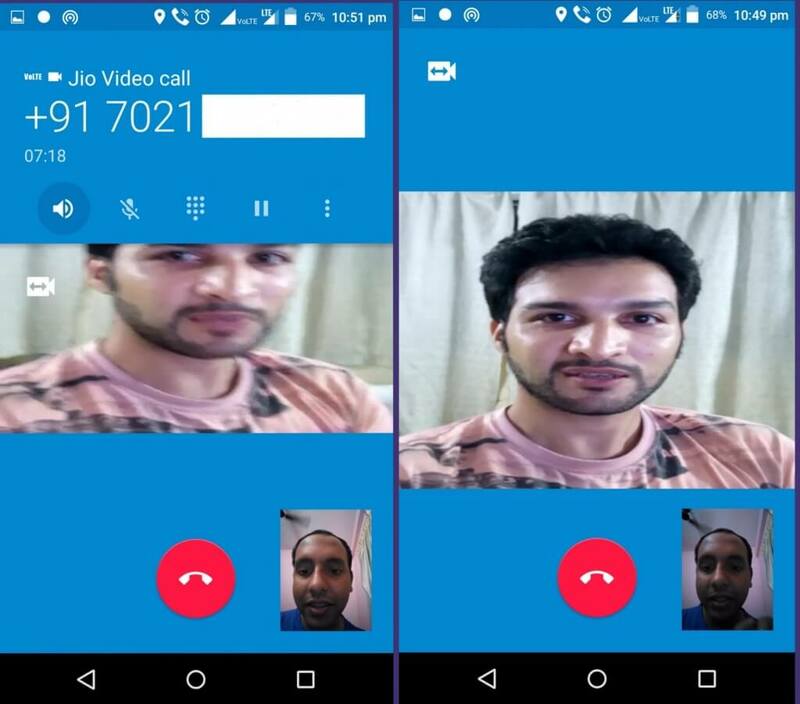 Jio also allows making Video calls to other Jio numbers. This is almost the same as native 3G video calling on older Nokia 3G phones. I’ve attached above the screenshots of my video call with Esmail, the call was overall smooth and easy to make, audio and video quality was pretty good. Some lag was noticed when calling from Jio Join App, video call from LYF to LYF was smooth without any lags for delay. My LYF Water 1 handset started heating considerably after 10 mins of Video call. Battery was also down 8% in 10 mins. Jio is able to deliver HD quality lag free video calling for the first time in India. This is something OTT players like Hangouts or Skype won’t be able to match given that the internet speeds in India are too slow. Jio Preview offer also entitles you to access 8 Jio premium apps for 90 days. These include Jio Play, Jio On Demand, Jio Beats, Jio Mags, Jio Drive, Jio Xpress News, Jio Join and Jio Security. Jio Join is the WiFi calling app from Jio. It enables to make calls from non-VoLTE smartphones or at a location you don’t have coverage but has a WiFi network. Jio Security is a re-branded Norton security app for mobile. It protects your device from malicious apps and provides Anti-theft protection. Jio Play provides live TV along with access to 7 days recordings for each channel. Jio play currently has 289 channels including 31 HD channels. I was surprised to find 18 Malayalam channels which included two HD channels. 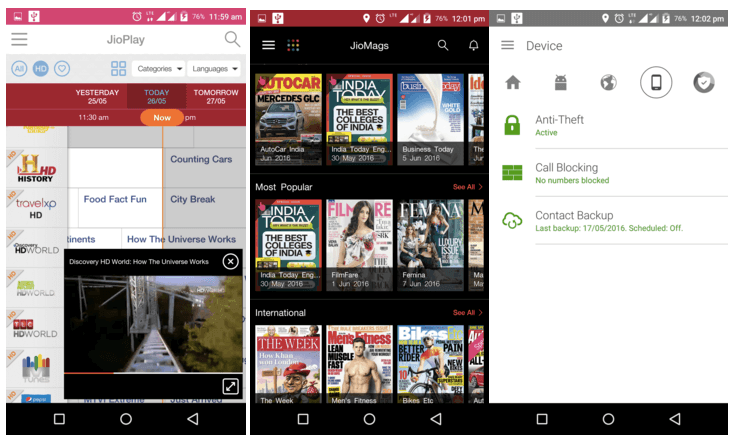 Jio Mags gives access to popular magazines available in india including regional ones. Jio On Demand is basically what Netflix or Hotstar offer. It has a collection of popular TV shows and movies from both Hollywood and Bollywood. Jio Drive is like Google Drive or Onedrive, but it comes with just 5GB of storage. My Jio App provides all information about your Jio number at your fingertips. 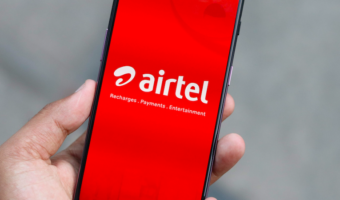 Balance, tariff, recharge and usage details are available on the app. You can even chat with Jio care team directly from the App. A new service request can be created and status of open service request can be checked using My Jio App. Jio provides NetVelocity app for testing speed which is simlar to Speedtest.net App. 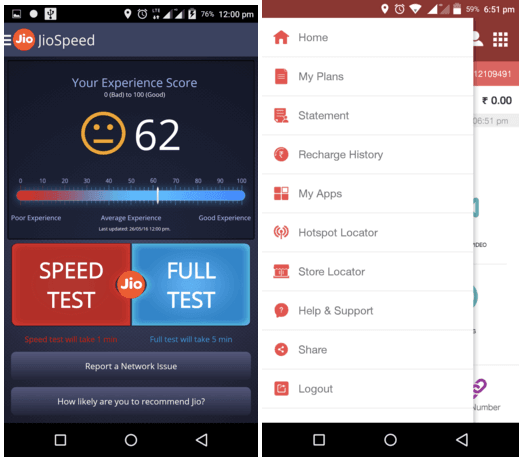 Jio has also got its own comprehensive speed and network testing App called Jio Speed. The Jio speed can do a comprehensive speed testing and can record signal strength, location and speed to open popular site like Facebook and Youtube. You can also report network issues to Jio directly from the App. 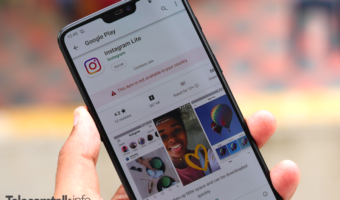 If you are planning to use your Jio unlimited 4G internet to download torrents or watch some ### videos online, you will be in a bit of surprise to know many torrent and p### sites are blocked on Jio network. This seems to be on the back of an order issued by Government to block over 857 p### sites last year which was later partially withdrawn. 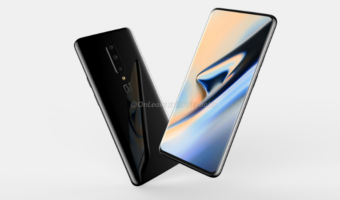 However, many p### sites and torrent sites are inaccessible on Jio 4G and display a message stating that the site is blocked as per order from department of telecommunications. Looks like Jio didn’t get the revised order from DoT. Jio offers a wide range of options to contact Jio customer support. Jio care team can be reached through phone, email, chat and service request from the app. Jio even has a toll free number which can be used to contact Jio Care from non-Jio numbers. Chat support is provided through My Jio App and it also enables to directly register a service request. When calling Jio care, the call gets connected directly to customer care executive without the need to enter any IVR options. Customer care executive was very professional and spoke to me in a right mix of my local language and english. There was also no background noises of call centers which we usually hear. Once complaint was raised I got regular notification about the status through SMS and email. However, I came across many complaints being closed before being resolved. If you are using Jio Preview offer, please do share your experience and usage through comments below. Jio is actively and illegally blocking Skype VoIP calls outside of india. Has anyone experienced the same ? Even the Skype Test Calls disconnect abruptly half way through.